Jeremy Lin is currently in his ninth season in the NBA. Seven years ago this week, an unheralded point guard from Harvard catalyzed the Knicks to a 99-92 victory over NBA All-Star Deron Williams and the Nets at Madison Square Garden. Scoring 25 points, five rebounds, and seven assists off of the bench — all career highs — undrafted Jeremy Lin quickly became one of the most popular players, and people, in New York City. The phenomenon known as “Linsanity” thrust the Torrance, Calif., native into the global spotlight in the world’s most famous arena, and fueled an NBA career that is now in its ninth season. Lin, the first American of Chinese or Taiwanese descent to ever play in the NBA, stoked a cult following almost immediately, which eventually culminated in the production of the film “Linsanity”. In February of 2012 alone, Lin was largely responsible for boosting the market capitalization of the Madison Square Garden Company, by over 250 million dollars. No NBA jersey sold more than Lin’s No. 17 through February and March of that season. 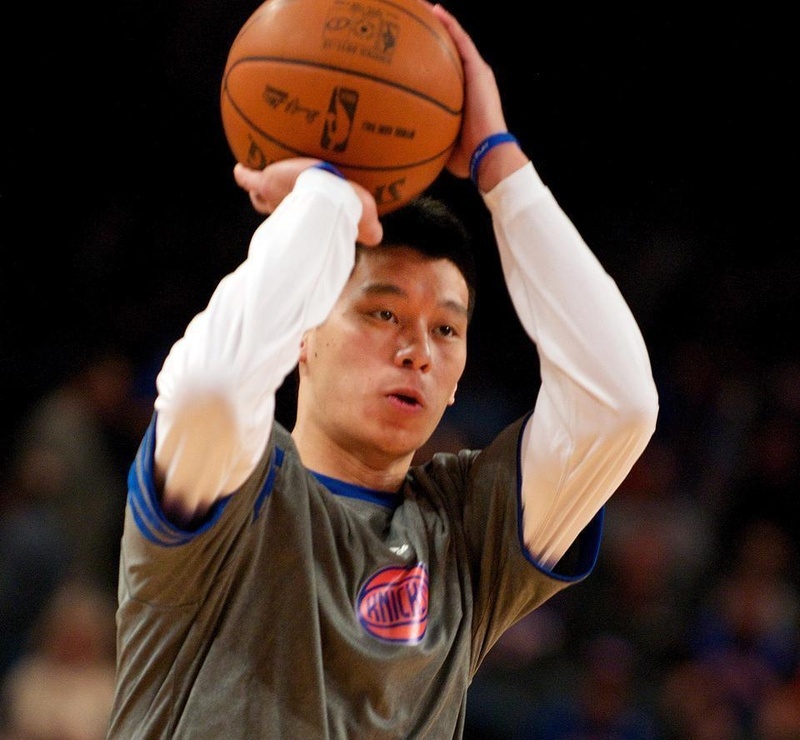 The Palo Alto, Calif., native launched his NBA career while a member of the New York Knicks during his "Linsanity" rise. Lin is often credited with drawing attention to, and helping bolster the competitiveness of Ivy League basketball. Lin remains the only Ancient Eight alumnus active as a player in the NBA, and is undoubtedly responsible for the increasingly competitive recruiting and performance of Ivy League basketball teams. The ninth-year pro, who now plays for the Atlanta Hawks, is quick to deflect the praise to Coach Tommy Amaker. Regardless of his modest outlook, it is difficult to overstate the sensation that Lin became, practically overnight. After just 12 starts before the All-Star Break, Lin was selected as a last-minute addition to the Rising Stars Challenge, a testament to the rapid ascent of Lin’s stock. 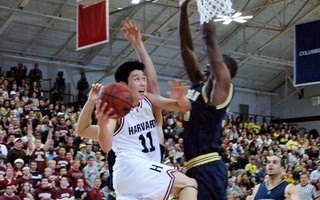 In the years following Lin’s emergence, the Harvard basketball program successfully recruited multiple Top 100 high school players, including the vaunted Class of 2020 — dubbed the best recruiting class in the history of Harvard basketball. By the end of the 2012 NBA season, Lin had gone from an undrafted D-Leaguer playing with the Warriors’ Reno Bighorns affiliate, to the second most popular jersey in the NBA, behind only Derrick Rose. The renewed attention that Lin brought the Knicks also played a significant role in breaking a 48-day dispute between Time Warner Cable and the MSG Network, preventing many New Yorkers from watching Knicks games. Although Lin’s success in the Big Apple was in large part a month-long phenomenon, the 30 year-old has since built a solid career in the League, averaging double-digit scoring in each of his eight seasons with the Knicks, Rockets, Lakers, Hornets, Nets, and his new team, the Atlanta Hawks. And while Lin’s future with Atlanta is tenuous, as he remains on the last year of his contract and plays for a team that will likely look to swap expiring assets for draft picks, he values the impact that his experience can have on a younger Hawks team. 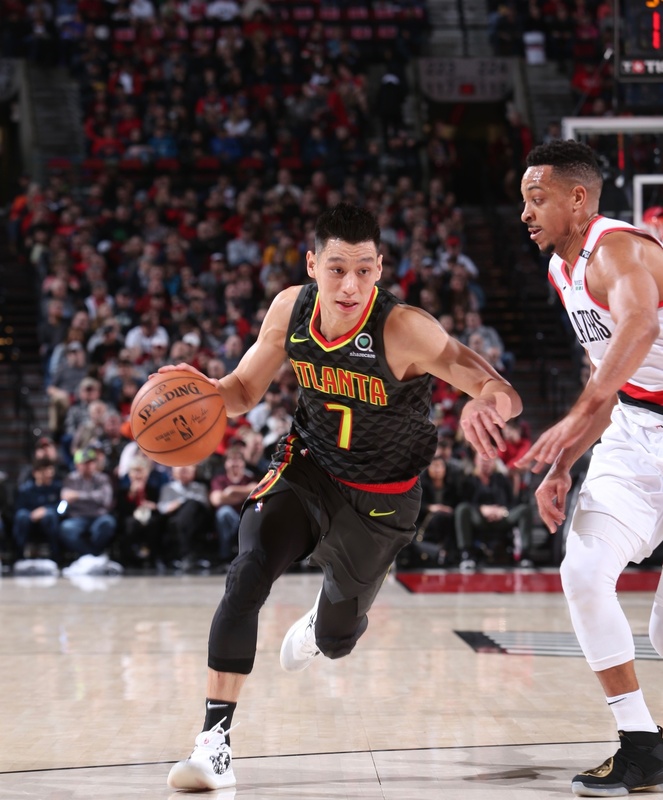 For once in his career, with a team focused around rookies Trae Young, Kevin Huerter and other young players like John Collins, Lin plays the role of veteran NBA player, helping mentor the youthful Hawks. He’s played in 17 playoff games, and averaged over 10 points per game in three postseason stints with the Rockets and Hornets — opportunities that few in Atlanta have experienced. Despite graduating from Harvard in 2010, Lin has been in the spotlight on campus more recently, because of a million-dollar donation to the college that he made in October of 2016, after signing a three-year contract with the Brooklyn Nets. 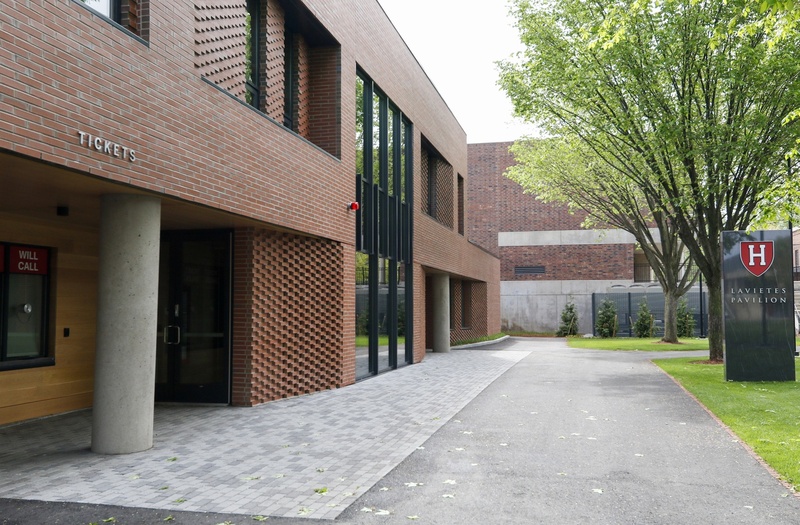 Much of the coverage about his donation focused on the completion of the Lavietes Pavilion reconstruction, which was a long-awaited process for the Athletics Department. A significant portion of Lin’s million-dollar donation, however, was directed towards the college’s financial aid program. As part of a $1 million donation, Jeremy Lin helped contribute to the renovation of Lavietes Pavilion, which featured, among other things, a new entrance lobby and ticketing areas. Lin’s role in the NBA is, in itself, a bit of a contradiction. In the post-Linsanity era, he has settled into his role as a highly capable role player off of the bench, for one of the NBA’s least appealing teams. A far cry from his three weeks in the New York City spotlight, Lin still remains an icon to many — both as a Taiwanese/Chinese American, and as the only representative of the Ivy League on basketball’s biggest stage. In essence, Lin is both just an every-day rotational NBA player, while simultaneously representing much more than that. But make no mistake about Lin’s legacy. Since arriving in the NBA, Lin has never shied away from the opportunities provided to him by one of the world’s most popular sports leagues to make his opinions heard. In an era in which politicians and pundits have frequently chastised players for taking public views on inflammatory issues, Lin is no stranger to controversy. Since his arrival in the League, Lin has been outspoken on issues from discrimination against Asian-Americans, and has been subject to multiple offensive comments by sports media and journalism personalities. As a member of the Brooklyn Nets, Lin penned an article titled “So… About My Hair” for the Players Tribune, explaining his choice to wear dreadlocks, arguing for the importance of different minorities sharing their cultures with each other. Long before gaining the platform to speak, Lin was an unknown high school basketball player from California, born to two Taiwanese emigrants, who were both only 5 feet 6 inches. Born in the Los Angeles area, Lin’s family moved to Palo Alto, where he learned to play basketball at a local YMCA with his brothers. Despite captaining Palo Alto High School to a 32-1 record in his senior year and a California Division II State Championship victory over nationally-ranked powerhouse Mater Dei, Lin did not receive a single athletic scholarship to play Division I basketball. Unrecruited by local schools Cal-Berkeley and Stanford, who encouraged him to walk on, Lin found himself at Harvard, one of the few schools that showed interest in the 6’3 guard. 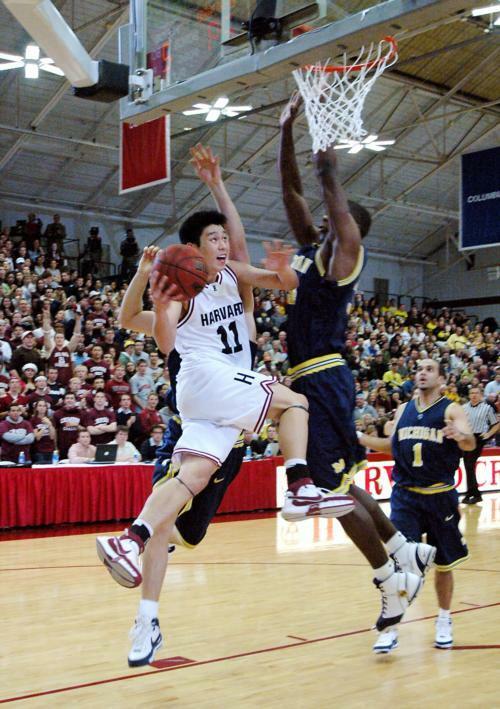 Jeremy Lin '10 goes for the layup during a game in December of 2007 against Michigan. Lamar Reddicks, a former assistant coach for the Crimson, described Lin as “the weakest guy on the team”, in his freshman year. Even after garnering three All-Ivy recognitions, including two unanimous first-team selections his junior and senior seasons, Lin went undrafted, despite being invited to eight pre-draft workouts. One of the 11 finalists for the Bob Cousy Award, presented to the nation’s best college point guard, Lin eventually signed with his hometown Warriors, but received little playing time while backing up Stephen Curry and Monta Ellis. A year and a half later, after stints with the Warriors, Rockets, and a patellar ligament injury, Lin found himself in the spotlight on the NBA’s biggest stage — as starting point guard for the Knicks at Madison Square Garden. In many ways, Lin’s story is emblematic of so much that is beautiful about sports. The belief that anyone, regardless of background or circumstances, can rise to prominence with the right amount of hard work and determination, is a cliché that frequently appears throughout American sports culture. Perhaps it’s Lin’s status as an underdog that made his popularity so contagious. The idea that a first generation American could rise to become one of Time’s 100 Most Influential People, and compile a long NBA career after attending Harvard, is as compelling a storyline as could ever be scripted. Lin’s popularity and ascension to worldwide fame is undeniable, especially to the Chinese and Taiwanese American communities, for which he represents the first to ever play in the NBA. Even more impressive, however, is the fact that despite his success and unique story, Lin has never forgotten where he came from. His generous donation to the college’s financial aid program are a literal reminder of this, but even a brief conversation with him is enough to convey his love for Harvard and the basketball team. With the trade deadline looming this afternoon, there is a very real possibility that Lin will play for another team by the end of today. After this season, Lin will be an unrestricted free agent, free to pursue whatever options the market offers him. So, once again, the former Crimson point guard will be faced with the uncertainty that has repeatedly appeared throughout his basketball career. But you can rely on Lin to approach the deadline and impending free agency with the same humility and grace he’s brought to the hardwood since he was learning to dribble and shoot at the Bay Area YMCA. At some point in his life, once his NBA career is over, many expect Lin to become increasingly involved in social activism. It’s reasonable to say that, while his Harvard education has yet to benefit him in the league, it will in his life after basketball. Wherever his experiences take him, Lin will bring his four years of basketball in Cambridge, and over 10-year NBA career to the table — which is something few people have ever experienced. Whether it’s for the Hawks, or another team for the rest of the season and beyond, you can count on Lin to worry about winning games. But anyone who’s met the 30 year-old that took the world by storm seven years ago, knows that Lin’s future is much brighter than just basketball. But for now, he’ll be focused on getting buckets — in Atlanta, or wherever the trade deadline may take him. — Staff writer Amir Mamdani can be reached at amir.mamdani@thecrimson.com. Follow him on Twitter @AMamdani_THC.